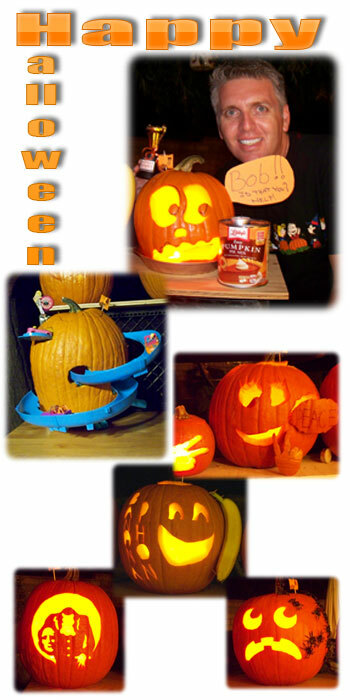 We hosted our annual Pumpkin Carving Party and had a lot of fun with everyone! Flying home today from a show to take my girls out for the trick-or-treat fun. In yesterday’s post I captured my sample online slideshow in PowerPoint’s new “Reader View” – which is somewhere between the traditional edit view and a full slide show. My reason was simple, it made it clear the presentation was running on the web. 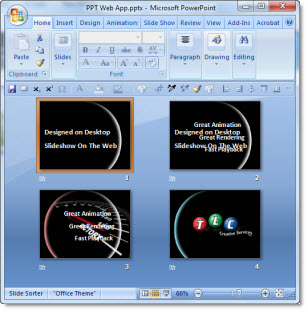 There are 3 view options with the PPT Web App. 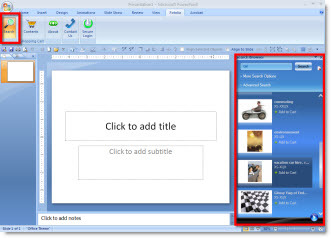 The “Reader” view is in all the MS Webb Apps and in the upcoming Office 2010. Click “view” presentation and this is the default view. To see as a full screen slideshow click the “slideshow” button from this view. The reader view default shows animations, slide notes, the web browser window is resizable and relies on SilverLight for best performance. The control bar at the bottom the reader view is used to advance through slides and animations. 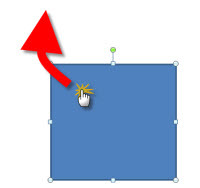 Unlike the preview animation feature in PowerPoint, the reader view maintains animation timings and pauses for each on-click animation – just like running the slideshow. 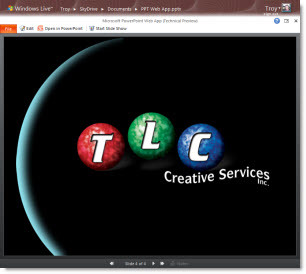 I have been using the Office Web Apps beta and created this presentation to test how things look and animate when run as a slideshow on my desktop and then uploaded and run through the online PPT Web App. 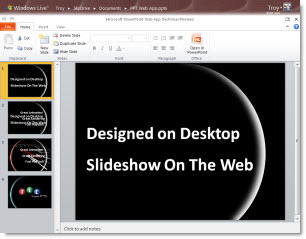 PowerPoint Web App – Use It Today! Everyone is eagerly awaiting the release of Office 2010 and the new PowerPoint (or they should be – it is the best release/improvement since PowerPoint XP!). With the new version Microsoft offers a new set of tools with its Office Web Applications for PowerPoint, Excel, Word, and OneNote. For a limited time anyone can start using the public beta (up to the first 50k or so users). * The first one uploaded will be recognized as a Microsoft document and then offer you the opportunity to participate in the Office Web Apps public beta – accept and you are all set! I have a few more posts set to review the use and features, but here is my personal opinion of the PowerPoint Web App as of today. Microsoft has pulled together a major amount of code development in a short amount of time. The functionality is very limited. But I can clearly see how it will rapidly improve and become a mainstay in presentation use. It lives in the ‘cloud’ and updates do not have to wait for the standard upgrade time of services pack or new versions. I think the web apps will have the quickest development within Microsoft over the next several years – one we will directly benefit from. 1. Sharing a presentation online (which is very easy and very well done). Microsoft has this use incredibly far down the developement cycle. It works. 2. 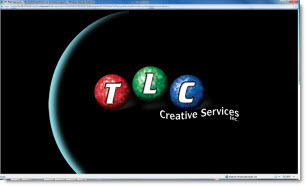 Creating or editing a presentation online. This is definitely a 1.0 release and the feature set is limited, a bit frustrating, and will definitely get better and more usable. If you have a few minutes online and need a distraction this is a very funny story written by an obviously funny guy. “Come watch the grim PowerPoint of death” has a good point that kids are using PowerPoint, often better than business people, that should not be missed. This same problem seems to pop up for many reasons. It is definitely a Windows Vista, and potentially Windows 7, issue. But it effects all versions of PowerPoint. It recently came up again on some of my computers after some Microsoft updates. The problem is clicking on any object (text box, shape, image, chart, etc) and it jumps slightly. Very annoying. 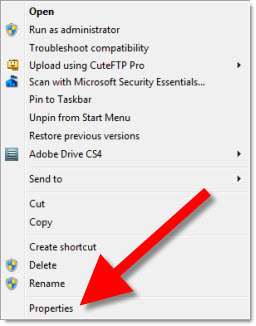 The solution is (re)setting one of the application options. 3. 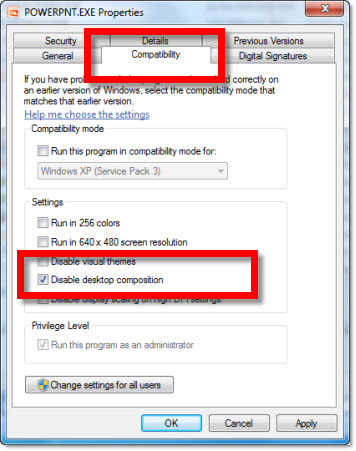 Go the the COMPATIBILITY TAB and be sure the DISABLE DESKTOP COMPOSITION is checked. Run PowerPoint and all should be resolved! 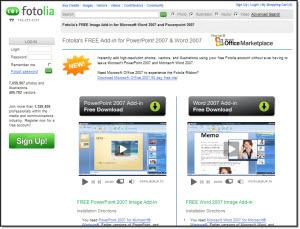 Fotolia is another resource for royalty free images. But this is the first one to have a PowerPoint add-in (also a Word version). Get details and download here. 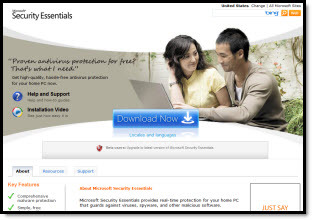 The install requires being online and easily goes through verifying computer has needed components and installing if needed. I did discover if you run multiple versions of PowerPoint, PPT 2007 needs to be the default setting for installer to run. 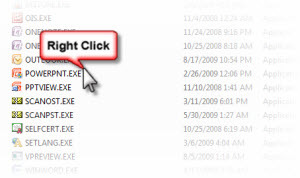 This is also a PPT 2007 specific add-in and will not install in earlier versions. Once installed there is a ‘Fotolia’ tab. If you click the SEARCH button an action pane opens that is basically a gateway to the Fotolia website content. The search results show a thumbnail and one click options for purchase and download. To purchase and use an image you need to use the LOG IN button and have a Fotolia account (with credits purchased). 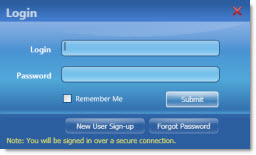 This may be the first in a new wave of conveinence add-ins as the internet merges with applications. Had opportunity to meet Johnny Batista Galvao de Sousa (I asked for his card to get the name right) at PPTLive. 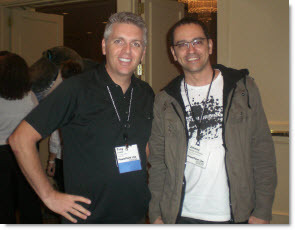 Great guy, with a great company name SOAP, State of the Art Presentations. PPT Live continues through Wednesday, but I am flying back to Los Angeles for a large project today. 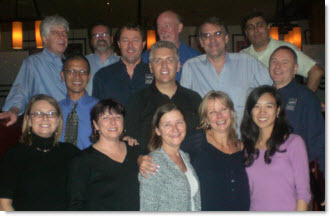 But I consider myself very fortunate to enjoy time with the other PowerPoint MVPs and some of the Microsoft PowerPoint program managers.